The audio was posted on YouTube by a musician who claims the tapes were personally given to him by Kurt Cobain. 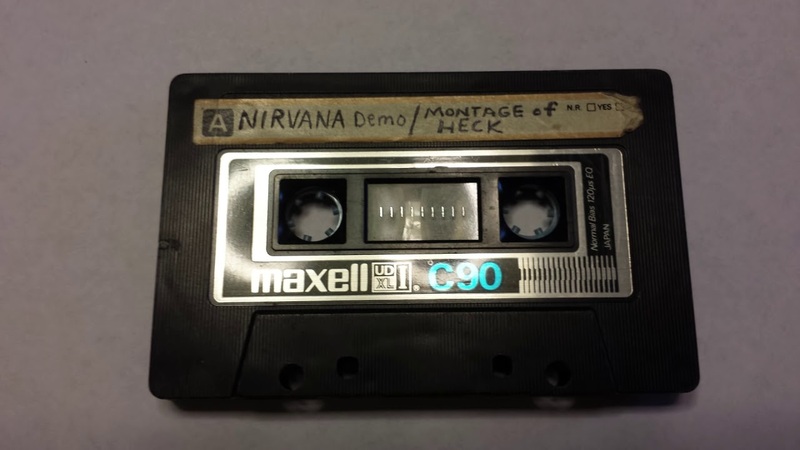 Four rare Nirvana demo tapes have been shared online. The audio, which was uploaded by Washington musician John Purkey, claims to contain recordings from as far back as 1988. The demos come before the arrival of Dave Grohl, who joined in 1990, and features The Melvins' Dale Crover and drummer Chad Channing, who played with Nirvana from 1988-1990. Listen to the first of four demos above, which was uploaded to YouTube under the username the Observer. Purkey explains in his first video: "This is the first tape Kurt gave to me. Sound quality is not perfect but it's not too bad. It is listenable. Paper cuts sounds a little warbaly at first and that is exactly how it was when Kurt gave it to me. I got used to it. It slowly becomes clear sounding." Listen to his second tape, which his says was given to him by the late frontman "between 1988 and 1990". Hear the third, which he says came "after they recorded songs for what would become Bleach." Listen to the fourth tape, which comes with the explanation: "Recorded with Chad produced by Butch Vig. I think it is known as the smart studio demo. Kurt started high speed dubbing at the beginning of pay to play. To can hear a slight glitch when he pressed the high speed button."